Home Blog Microfinance In India - The Path To Heaven Or The Doorstep To Hades? You must have heard the famous saying by Dr Mohammed Yunus the pioneer of Microfinance and the winner of the Nobel Peace Prize in the Year 2006 for his contribution to the growth and development of people in abject poverty and I quote" Poor People Are Bonsai People. There Is Nothing Wrong With Their Seeds. Only Society Never Gave Them A Base To Grow On ". Microfinance was started with the sole aim of weeding out poverty from the lowest echelons of society or the grass root level by focusing on microcredit lending designed to spur growth in developing economies. The focus of microfinance is change. You must have heard the famous quote" Your Life Doesn’t Get Better By Chance. It Gets Better By Change ". This new concept is designed to be a path changer and a new movement of the 20th century. Aided by technological advancements the scope of growth in this sector is huge .However of late hurdles or barriers are curbing growth in this sector. Greedy elements in our society are fattening themselves at the cost of this industry. Isn’t it our duty to prevent this from destroying the very fabric of micro finance? 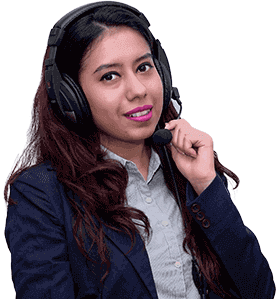 I would like to remind you that the team of Financial Planners at IndianMoney.com are always there for you to plan your investment needs in a most effective and efficient manner. You can explore this unique Free Advisory Service just by giving a missed call on 022 6181 6111. 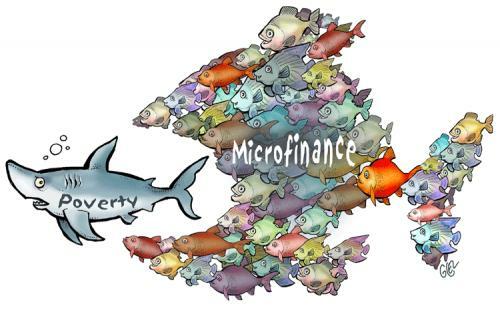 So What Is Micro Finance? You must be knowing that Microfinance mainly involves providing financial services such as loans, insurance and promoting savings and imparting the necessary training needed for people in abject poverty to escape from this situation. Small loans are provided to entrepreneurs starting small businesses. Micro finance promotes financial services such as savings and insurance along with flexible loan products and business and product development training. This is very necessary to prevent investors from falling back into poverty. Another focus of microfinance is women’s empowerment. Many rural women were too shy and afraid to approach banks for loans. This problem was solved by establishing a public bank run solely by women and catering to loans for women. Women are the backbone of the family and their development empowers the whole family. They are less likely to default on their loans. In the absence of this sector the rural class would borrow money from money lenders at extremely high rates. This forces them into the debt trap. This segment also focuses on small scale industry, animal husbandry and helping the farmers through loans needed to procure seeds and industrial equipment for farming. So How Does Micro Finance Work? You know that banks will not sanction your loans unless they are thoroughly convinced of your repayment abilities. They would study your past credit history, and would demand a security or collateral.For many years Micro Finance institutions lent funds to a sector which was not even looked at by banks and perceived as a group which would not return the principle leave alone the interest. Inspite of this sector being of high default risk Micro Finance institutions had their loans repaid along with quite high interest rates. They thrived and grew at a rapid rate. So How Did They Manage To Do This?. You know that individuals availing these loans were divided into a group of 4-5 members .Each group had a leader. The members of the group had to stand guarantee for other members of the group if they did not repay the loans. You must be knowing that 4-5 such groups from the same locality were joined together to form a batch. From among the leaders of each group one member was chosen to lead the batch .A field officer mainly an employee of the Micro Finance Institution was kept in charge of the batch. Specialized training programs were conducted to impart basic knowledge of financial instruments, specialized training in use of industrial equipment, and in the case of women knowledge of health and nutrition. The field officer conducts meetings periodically where collections are made. So Why Does Loan Default Not Occur In This Sector? You can avail a loan only after you attend a certain number of batch meetings. This proves that you are a serious contender for the program and a certain basic level of knowledge of the financial product has been imparted to you. Your new loans can be availed depending on past repayment history made towards earlier loans. After a through checkup of past loan repayments and timely payments you can avail of another loan. Your Quantum of loans is gradually increased .based on your past loan paybacks. You know that the interest on a single loan taken will gradually reduce during each collection period. The loans are not provided by the field officer but are obtained at the branch office of the MFI. Another major reason why these loans are repayed is Social Stigma. No member wants to be seen or perceived as one who cannot pay back the loans. Each member of the group takes the task of loan repayment very seriously. You know that in the rural sector people do not have basic literacy and many of them do not even know how to sign their name. So How Can Knowledge Of Financial Instruments Be Imparted To Them?.Most of the field officers of the micro financial institutions sent to train the rural people just concentrate on teaching them to sign their name. Can you imagine the consequences of just knowing to sign your name and nothing else? These MFI’s are not able to raise equity easily from the primary market. They finance themselves by taking loans from banks. This increases the debt component in their capital structure. Banks are not willing to finance their huge debts unless they raise a sufficiently large pool of equity. They mainly depend on grants from the government or non banking institutions like SIDBI and NABARD for funding. You know that MFI’s lend after checking the past repayment records of group members. They follow the phrase " All For One And One For All ". When any member drops out and shifts to another group the entire stability of the group is disturbed. You know that there is a general lack of transparency in pricing of interest rates of the loans in this sector. They show their loans at low rate of interest but they show high service charges and processing fees. This indirectly raises the interest rate on loans. These rates can be as high as 30-100% on an annualized basis. You must be knowing that MFI’s like to set up their operations in semi urban areas and areas where MFI operations are already established. The cost of start up operations such as educating and training of the rural masses are greatly reduced. This results in huge savings for these MFI’s. This results in formation of clusters which is basically all MFI ‘s serve only a particular area at the cost of the rural sector which goes against the basic social welfare concept of these institutions. In this sector unlike free markets competition goes against this sector and affects both the MFI and the borrower .The competition forces MFI to give multiple loans to the same borrower. This unnecessarily increases the debt burden on the borrowers who at a later point in time are unable to repay their loans resulting in a high rate of suicides. You must be knowing about the infamous SKS Microfinance Limited case in which this Company just like several other peers in this industry started off as a Non Governmental Organization in 1998 and soon grew up to be an equity bank by 2010.An equity bank basically takes public deposits and SKS Microfinance was the first to launch an IPO in 2010 in the microfinance sector. You must be knowing that at this point in time there was severe political interference by the Andhra Pradesh government which pressurized borrowers of these MFI’s to default on their loan payments. This caused a massive decline in the repayment rate of loans of borrowers from 99% to 5% among the major players of the MFI industry in Andhra Pradesh. The government stated that SKS Microfinance and other major MFI’s had forgotten their basic model and purpose of existence and had spread their tentacles across India. These no longer were self help groups and had become " Too Big For Their Own Good ". It was widely believed that political interference by the MFI’s also led to this undesirable situation. They had to be cut to size. According to the basic model the members in a group had to be indebted to each other and not to an institution.SKS Microfinance Ltd. Behaved just like a private bank. The Andhra Pradesh government stated that these MFI’s were responsible for a spate of farmer suicides across the state as they were heavily indebted to these MFI’s. It was also alleged that these MFI’s were using strong arm tactics to intimidate borrowers to repay their loans. MFI’s like SKS Microfinance promoters were accused of fraud and siphoning of funds. This led to what is known as the domino effect. These led to a mass withdrawal of public deposits and banks which were the main financiers of these MFI’s were severely affected. The State Of Andhra Pradesh had been the bulwark of the MFI Industry with the penetration of the microfinance industry being the largest in the country. Did The Andhra Pradesh Government " Kill The Golden Goose? ". The Reserve Bank of India (RBI) shall regulate the micro finance sector by capping the lending rate and margins of Micro Finance Institutions (MFIs). The bill provides protection to the small borrowers against the Cartelization by the Micro finance Institutions. Micro Finance Institutions provides micro credit facilities up to Rs 5 lakh, thrift collection services, pension or insurance services, or remittance services. Councils and committees at Central, State and District levels should be set up to monitor the Micro Financial Sector. The Bill provides for a Micro Finance Development Fund managed by RBI .The proceeds from this fund can be used for loans, refinance or investment to MFIs. RBI needs to create a grievance redressal mechanism as per the bill. I would like to end this article with the famous saying " Give A Man A Fish And He Will Eat For A Day. Give A Woman Microcredit, She, Her Husband, Children And Extended Family Will Eat For A Lifetime ".